Colleyville - Grapevine ISD is a School District based in Grapevine, Texas. 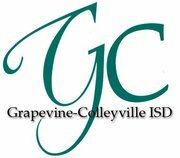 Read reviews for Colleyville - Grapevine ISD, and search all homes for sale near the school below. For more information about CGISD, school calendars, curriculum, admission & school administration information, please contact the Colleyville - Grapevine ISD directly. The Grapevine-Colleyville Independent School District is a large area of Northwest Dallas that serves nearly 14,000 students from the growing areas of Colleyville, Grapevine, Euless and Hurst. Within the Grapevine-Colleyville ISD there are 11 elementary schools, four middle schools and two high schools. VIP Realty and our team of qualified realtors have the knowledge to help you locate your first home or your dream home among Grapevine-Colleyville ISD homes for sale or Grapevine-Colleyville ISD homes for lease. Want to purchase a home in the Colleyville - Grapevine ISD? Call your Grapevine real estate team, VIP Realty at 214-295-4888. Your neighborhood Tarrant County REALTORS® and agents are here to help with the Dallas area housing market. If you're looking for a home for sale or lease in the Colleyville - Grapvine ISD - school district, don't hesitate to call your local North Texas real estate experts at VIP Realty.